The twin cities of Islamabad and Rawalpindi play home to thousands of employees from other cities who reside in both the towns either temporarily or permanently. With each year, the number of people from other cities, who get employed here and need residence in Rawalpindi-Islamabad, increases. To accommodate these employees, government and various private sectors launch housing schemes from time to time. But because Islamabad and Rawalpindi are known to host some of the highest valued properties in Pakistan, not everyone can afford to buy property there. For that reason, many people are forced to live on rents in Islamabad and the sister city, Rawalpindi, under adverse conditions. The announcement regarding the launch of Model Housing Scheme in Rawalpindi has come as a breath of fresh air for such people who would now be in position to consider better options for their work place as well as residence. Availability of better accommodation will also reduce their travelling distance and they might end up saving some money which otherwise is spent on high rents and ever inflated petrol. 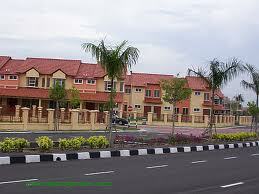 Cantonment, be it in any city, is widely regarded as a posh area in terms of property prices and the standard of living. Not just that, but the fact that the MHS of Rawalpindi will also host all facilities such as schools, parks, masajid and community centres has brought good news for all kinds of people. It would be premature to comment on the prices of properties in this particular project but Zameen, the best B2B portal for Pakistan real estate reckons that the rental value for houses in this scheme might not be as high as the rents in Islamabad.